What do you think about taking the train rather than flying? Leave a comment below and let me know. If you have read my blogs you would know I love to take a train for my travel rather than the expensive flight option. I get to stretch my legs (well almost always) eat local snacks and catch up on movies or books I don’t get time for in daily life. I never really thought that the train ticket booking in India can be tiring. 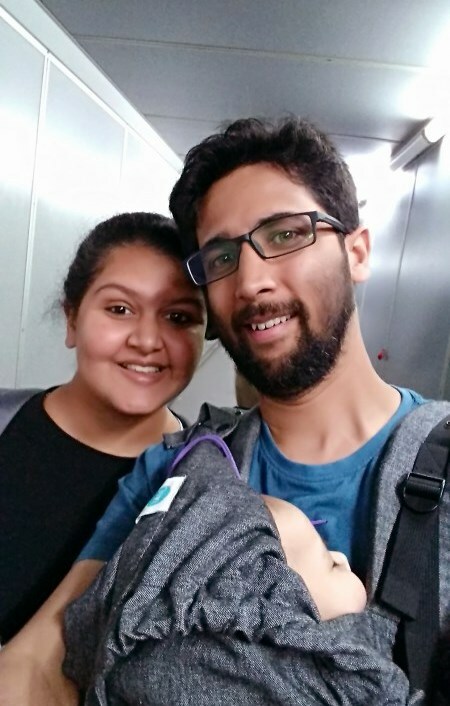 It was when we met an English couple in Aurangabad that I realized that it can really be a task for those who have never done it before. 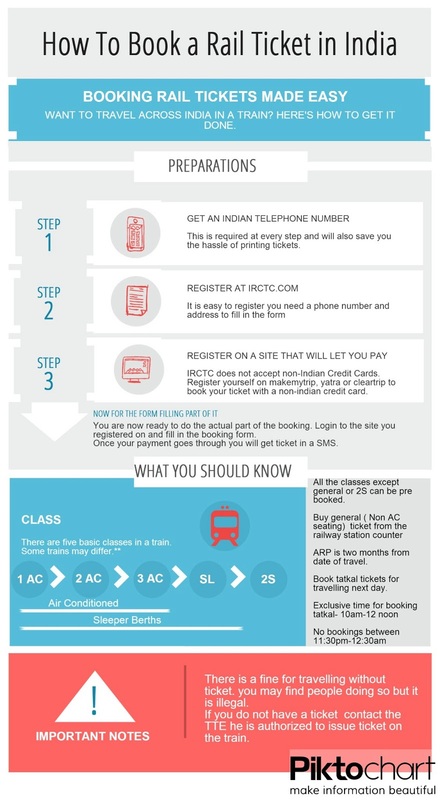 And the infographic below which talks about the very basics of the booking had its beginning. Pre-booking starts two months before the travel date and most traveled routes are rarely available a week after the booking opens for the travel date. Tatkal or immediate ticket is available at an extra cost. Once you are done with the registering process the only thing between you and ticket is the speed of IRCTC website which is simply not good. Train travel is the best way to really feel India. Do you have any train memories you would like to share? Would you like some more information?